What Is Account-Based Marketing (ABM) and Is It Right for You? B2B marketers are always on the lookout for the best way to support their marketing goals and make their sales teams successful. 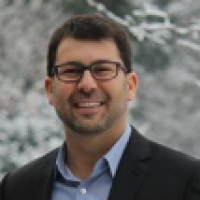 Typically that means leveraging a range of owned, earned, and paid marketing channels to amplify a product message and build as much awareness as possible across a wide swath of a target market in order to maximize the number of leads brought into the funnel and deliver the most sales possible out of the funnel. As a result, B2B marketers are intimately familiar with broad-reaching marketing tactics like online and offline advertising, PR, SEO/SEM, event marketing, social marketing, content marketing, mobile marketing and more, all designed to cast a very wide net and feed a sales team with a high volume of inbound leads. This broad-reaching approach to marketing can be an effective way to generate leads and sales BUT it’s not the only way to organize your sales and marketing efforts. In fact, based on the nature of your market, there may be a much more effective approach to achieve your goals — account-based marketing (ABM). Account-based marketing is, in many ways, the exact opposite of the inbound marketing tactics I mentioned above. Instead of leveraging a set of broad-reaching programs designed to touch the largest possible number of prospective customers, an ABM strategy focuses marketing and sales resources on a defined set of targeted accounts and employs personalized campaigns designed to resonate with each individual account. With ABM, your marketing message is based on the attributes and needs of the account you’re targeting, hence the name account-based marketing. So why would you consider focusing your marketing resources on a select group of customers with an ABM strategy? Sales and marketing teams typically select target accounts because they are “high-value”—they have the potential to generate more revenue and are strategically significant or influential in a market. You might sell products that are only relevant to a small set of target accounts (let’s say, for example, computers designed to run nuclear power plants). In this case your buyer is so specific that your target account list is obvious. But ABM often makes sense even when you can potentially sell your products to a much larger group of companies. You might have a large total addressable market that includes hundreds or even thousands of potential customers, but some customers are certainly more valuable to your business than others. And there is no doubt that optimizing your campaigns with individualized messages for each account will result in better campaign performance than a generalized approach. If you have a high-value prospect you’re trying to turn into a customer (or a high-value customer you are trying to sell more to) and you think that a personalized approach to marketing will be effective in achieving your goals, then ABM is right for you. Because ABM is so targeted, it allows marketer to focus their resources efficiently and run marketing programs that are specifically optimized for target accounts. With ABM, you decide which accounts are qualified and then go after them. This can profoundly impact the way you think about sales and marketing and the types of programs you execute. ABM not only targets your sales and marketing efforts with laser precision to a specific audience, but ABM also entails personalizing your messaging and communications to specific accounts so that your campaigns resonate with these target audiences. In fact, according to Aberdeen, 75% of customers say they prefer personalized offers, which makes sense. Targeted customers are more likely to engage with content that is geared specifically to them, and is relevant to their business and stage in the buyer journey. And because ABM is inherently personal, your campaigns are automatically optimized for the right audience. When you’re analyzing the effectiveness of campaigns, whether email, ads, web, or events, it’s easier to draw clear conclusions, because you look at a smaller set of targeted accounts instead of a vast set of metrics and analytics that span your database. ABM is perhaps one of the most efficient ways to align sales and marketing. This is primarily due to the fact that the marketer running an ABM program operates with a mindset very similar to sales—thinking in terms of accounts and how to target them, bringing them to the table, and generating revenue from them. Accounts are what sales people use to measure success, be it accounts in the pipeline or accounts won—for sales it’s all about accounts. The ABM marketer not only speaks the same language, but also works closely with sales to identify accounts and pursue them throughout the sales process. Use all the firmographic data and business intelligence you can find to help you prioritize your accounts. But remember, deal size potential is only one factor. You might select accounts based on other strategic factors like their influence in the market, likelihood to purchase repeatedly from you, or potential for higher than average profit margins. Now that you know your target accounts, you need to understand the way the account is structured and identify the critical players within the organization (e.g. decision makers and influencers). You might have this data already in-house or subscribe to services that can provide it. If not, consider having your sales team conduct the research or purchase this data from outside vendors. It’s important to put real thought into this step. Some define effective ABM as a web banner personalized with the prospect’s business name, which everyone loves but isn’t necessarily effective. Instead, an effective ABM strategy delivers deep and valuable content that addresses clear and significant business challenges the target account faces. Think about how your content, and ultimately your products and services, can address the target account’s specific business challenges in their industry. We live in a multi-channel world and you will undoubtedly want to connect with your audience on many different channels (e.g. web, email, mobile, print…etc) in a coordinated way. But put some thought into your channel strategy because some channels are more effective for certain roles or certain industries (e.g. email is tough in the healthcare industry). You’ll also want to consider things such as opt-in rules in your region or other potential restrictions in your channel strategy. Now that your content and messaging is ready to go, you need to make sure the influencers and decision makers in your target accounts see it. You can do this manually of course but technology is enabling marketers to coordinate and execute ABM campaigns at much greater scale and more efficiently than ever before. At Marketo we use our own marketing platform to support our ABM initiative. For example, we use our real-time personalization solution to serve content on our website designed specifically to resonate with key customers while we serve different content to our top prospect accounts. We employ a similar strategy with paid ads, leveraging personalized ad banners on Google, LinkedIn, and Facebook, using our Ad Bridge solution to serve ads specific to target accounts. Whatever your solution, make sure to coordinate campaigns across your channels to ensure a consistent voice and message. And work closely with your sales team so they can follow up on campaigns in a timely manner and with a consistent message. As with any marketing initiative, it’s critical to test, measure, and optimize your ABM marketing campaigns to ensure they are effective and you’re always improving your results over time. Of course you’ll want to look at the results of individual campaigns (e.g. email open rates, click-thru rates, first-touch and multi-touch attribution…etc). But ABM isn’t about one campaign; it’s about pushing into a high-value account with a series of campaigns over time. Be sure to look at trend data to see how things are really going. Are you growing your list of known individuals (remember step 2?) within your target accounts over time? Are you generating web visits, campaign responses, meetings, sales opportunities, and, of course, deals and revenue at your target accounts? These are the metrics and signs of account engagement you’ll need to understand to assess the health of your ABM program over time. 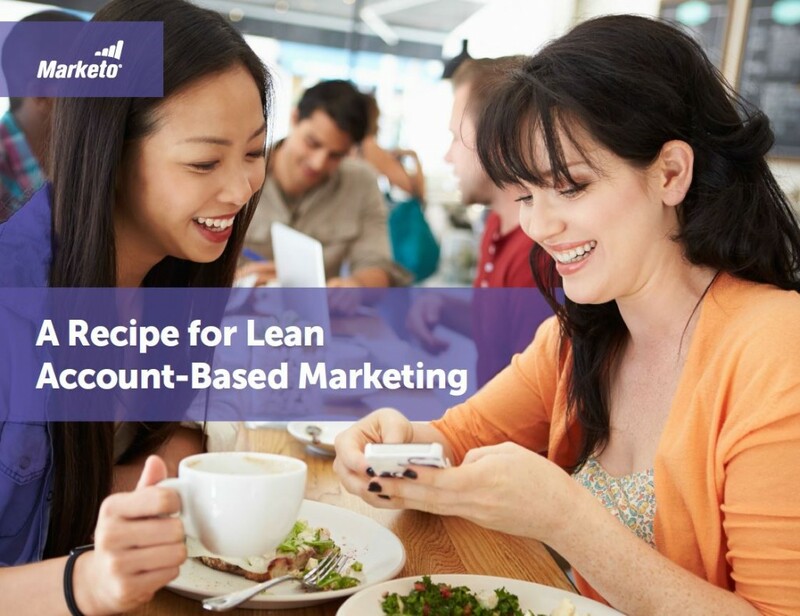 For more detail, check out the ebook we recently published, “A Recipe for Lean Account-Based Marketing,” for a deeper dive into account-based marketing and for information on how to get started quickly with ABM in your company.